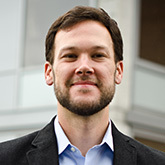 Thaddeus Miller is an assistant professor at the School for the Future of Innovation in Society and The Polytechnic School at Arizona State University. His research explores how sustainability is interpreted, contested, materialized and settled in science and technology policy and infrastructure design. He is on the Executive Management Team for the National Science Foundation-funded Urban Resilience to Extremes Sustainability Research Network, and co-PI of the NSF-funded STIR Cities project. His recent book, Reconstructing Sustainability Science: Knowledge and Action for a Sustainable Future, part of the Earthscan Routledge Science in Society Series, examines how scientists can navigate epistemic and normative tensions to link knowledge to social action. Miller, T. R., V. Rauh, S. Glied, D. Hattis, A. Rundle, H. Andrews and F. Perera. 2006. The economic impact of early life environmental tobacco smoke exposure: Early interventions for developmental delay. Environmental Health Perspectives 114(10):1585-1588. DOI: 10.1289/ehp.9165. Miller, T. R. and B. A. Minteer. 2008. Parks, people and posterity: A normative analysis of international conservation. Poster presented February 1 Graduates in Earth, Life and Social Science (GELSS) Symposium, Arizona State University, Tempe, AZ. Miller, T. R. and B. A. Minteer. 2008. Parks, people and posterity: Reconsidering the ethical implications of international conservation. Poster presented July 14-15 at the Society for Conservations Biology Annual Meeting, Chattanooga, TN. Darby, K. and T. R. Miller. 2007. Arizona State University's IGERT in Urban Ecology: Integrating towards sustainability. Invited poster presented at October 10, 2007 Conference for Sustainability IGERTs, University of Alaska, Fairbanks, AK. Miller, T. R. and B. A. Minteer. 2007. An ecological ethics for a crowded planet: Assessing the normative foundations of an emerging ESA vision. Poster presented August 8 at the Annual Meeting of the Ecological Society of America. Abstract PS 19-180, San Jose, CA. Miller, T. R. and B. A. Minteer. 2007. Parks, people and posterity: A normative analysis of international conservation projects. Poster presented June 18 at the annual meeting of International Symposium on Society and Resource Management; Abstract PC10, Park City, UT. Miller, T. R. 2010. Integration through adaptation: IGERT in Urban Ecology at Arizona State University. Presentation at the September 30-October 2 "Enhancing Communication in Cross-Disciplinary Research, An International Solutions-Focused Conference sponsored by the National Science Foundation and the University of Idaho, Coeur d'Alene, ID. Miller, T. R. 2009. Constructing sustainability. Presentation October 27-30 at the Annual Meeting of the Society for the Social Studies of Science, Washington DC. Munoz-Erickson, T. A. and T. R. Miller. 2007. Adaptive learning at SOS: Fostering intellectual and organizational change for sustainability. Presentation November 25 at the School of Sustainability Lunchtime Colloquium, Arizona State University, Tempe, AZ.